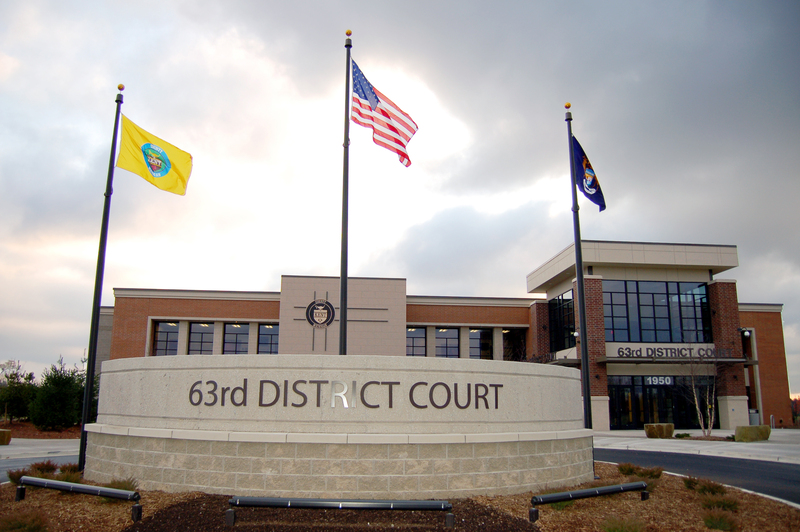 63rd District Court, Kent County, MI - Redstone Architects Inc.
Kent County retained the team of Post Associates as Architect of Record and Redstone Architects as Court Design Consultant to provide a Needs Assessment and Design Services for its new Consolidated 63rd District Court. The goal was to consolidate its current two locations to realize increased efficiencies, and security of a single modern courthouse facility. The approved design, developed by Redstone Architects, meets the needs of the public as well as the judicial and administrative staff. The building includes three Judge’s Courtrooms and a Magistrate’s Courtroom. It provides the appropriate levels of security, and future expansion potential. “Sustainability” is an integral element of this project.